$1.25 off when you buy any ONE (1) Dunkin’ Donuts coffee product. Can stack with a 5% Off Target cartwheel plus the Ground Coffee bags are on Sale for $5.99 thru 3/23. You can also grab the iced coffee singles for .75 after a sale thru 4/16, reg. $2.49. 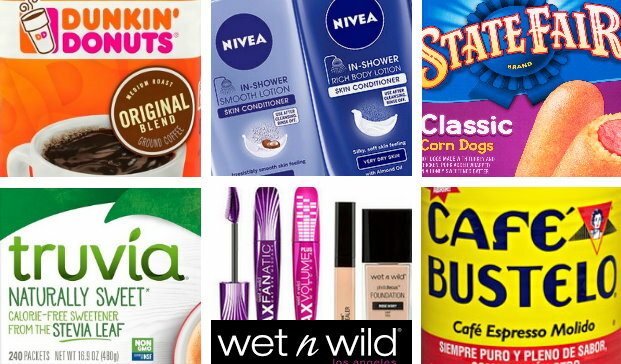 If you are shopping today – there is a 15% Off Target Cartwheel (x3/16), or starting 3/17, there will be an in-ad coupon for a FREE $5 Gift Card wyb $20+ in beauty and personal care to stack with. A nice coupon that we don’t see very often, but we frequently see sales & rebates for this product. Grab these great coupons while you can – since Monday, 3/18 Target will be offering 50% Off all Bic Razors in stores, making them as low as FREE.